In everyday language, people sometimes say that immoral behaviours “leave a bad taste in your mouth.” But this may be more than a metaphor according to new scientific evidence from the University of Toronto that shows a link between moral disgust and more primitive forms of disgust related to poison and disease. The research employed electromyography, a technique that uses small electrodes placed on the face to detect electrical activation that occurs when the facial muscles contract. In particular, they focused on movement of the levator labii muscle, which acts to raise the upper lip and wrinkle the nose, movements that are thought to be characteristic of the facial expression of disgust. “We found that people show activation of this muscle region in all three situations – when tasting something bad, looking at something disgusting and experiencing unfairness,” said Chapman. I was supposed to meet my parents and brother for lunch but got a call from my brother saying my dad had collapsed at PT and was being transported by ambulance to the hospital. He went home about four hours later with lots of test taken but nothing found. The Wall Street Journal says that bankruptcy is being looked at for GM and Chrysler in order to purge retiree health care costs. So they are going to get out of keeping their end of the contract, after the retirees kept theirs. How would you like to be old and sick and your health care benefits get taken away? I know I wouldn’t like it. My dad is now on Medicare because of his age. They were relatively good with him during his stroke. But we can afford to take care of him if Medicare won’t. Most people don’t have that luxury. A Scottish brewery claims to have produced the first authentic India pale ale (IPA) in almost 200 years by ageing the beer aboard a trawler in the North Sea. BrewDog, a Scottish micro-brewery based in Fraserburgh, has used an original recipe to produce the ale, which was traditionally matured during the 100-day sea journey from Britain to India. I don’t think this counts, though. They only did it for 7.5 weeks (7.5 x 7 = 54). Not exactly 100 days. But it’s certainly closer than anything else that has been done recently. An extract derived from a West African fruit may help overweight people shed pounds and lower their cholesterol, a new study suggests. The extract comes from Irvingia gabonensis, also known as African mango, a fruit commonly eaten in West Africa. Lab research has shown that extracts from the plant’s seed may inhibit body fat production, through effects on certain genes and enzymes that regulate metabolism. For the current study, researchers at the University of Yaounde in Cameroon randomly assigned 102 overweight adults to take either the plant extract or a placebo twice a day for 10 weeks. The study participants did not follow any special diet and were told to maintain their normal exercise levels. By the end of the study, the extract group had lost a significant amount of weight — an average of roughly 28 pounds — while the placebo group showed almost no change. At the same time, they showed declines in “bad” LDL cholesterol and blood sugar levels. Our project is to ensure the publication of writing of high calibre that may be rejected by conservative institutions. That’s what a call for papers for an online journal said. btw, most higher education teachers are liberals. I’m heading out to New Orleans in April and Boston in May. I made reservations today. I’ve put it off and put it off and I felt really bad about it, but I didn’t call. Now it’s done I wonder why I put it off so long. New Scientist has the news. A SKELETON exhumed from a grave in Venice is being claimed as the first known example of the “vampires” widely referred to in contemporary documents. Matteo Borrini of the University of Florence in Italy found the skeleton of a woman with a small brick in her mouth …. At the time the woman died, many people believed that the plague was spread by “vampires” which, rather than drinking people’s blood, spread disease by chewing on their shrouds after dying. 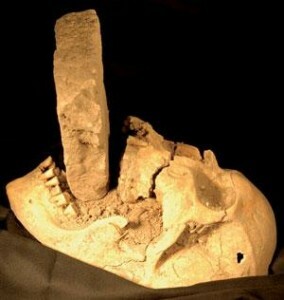 Grave-diggers put bricks in the mouths of suspected vampires to stop them doing this, Borrini says. I would never have thought this was a vampire, if I hadn’t been told already. It also makes me a bit interested in seeing Peer Moor-Jansen’s work. I’ll say that Borrini did an incredibly better job at making his dig exciting, if PMJ has found multiple skeletons and no one has heard about it. I think this would be good to use for my next popular culture paper, or something else. I’ve got the vampire religion article to go with it. This has to be useful someway. Belief in vampires was rampant in the Middle Ages, mostly because the process of decomposition was not well understood. For instance, as the human stomach decays, it releases a dark “purge fluid.” This bloodlike liquid can flow freely from a corpse’s nose and mouth, so it was apparently sometimes confused with traces of vampire victims’ blood. The fluid sometimes moistened the burial shroud near the corpse’s mouth enough that it sagged into the jaw, creating tears in the cloth. Since tombs were often reopened during plagues so other victims could be added, Italian gravediggers saw these decomposing bodies with partially “eaten” shrouds, Borrini said. During the Black Death period in the Middle Ages the cemetery was the final resting place for more than 1,500 corpses, and dozens of well preserved remains have been found. But the “vampire” discovery is the first of its kind at Lazzaretto Vecchio, the island used to quarantine and bury plague victims. Dr Matteo Borrini, an anthropological archaeologist of Florence University, said the woman’s skull had been impaled through the mouth with a brick â€“ a traditional method of ensuring the “undead” could no longer feed. Dr Borrini said there was a widespread belief that the plague was spread by female vampires. But CNET has a far more chatty, and popular culture approach, along with an explanation for a line in other articles. Oh, what would Buffy say to this? They’ve finally dug up a vampire. Buffy references abound when you go looking for them (which I did). It’s not quite in the vein of a Buffy the Vampire Slayer sacrifice. Those trying to save us from evil bloodsuckers 500 years ago didn’t rely on a stake through the heart â€“ they used a humble brick. Or we can have the same story with a riff on “The Lady is a Tramp” by the title The Lady is a Vamp from Mirror UK. The body of a “vampire” from 500 years ago has been found with a stake through her mouth. The gruesome discovery was made at a burial ground for victims of the Black Death in Venice. Experts say people thought putting a stake through a skull stopped vampires in their tracks. My heart is heavy and I (and/or the Holy Spirit) weep. What is happening in our nation tells me that democracy is losing. Christianity is losing. Freedom on all fronts is losing. And we voted for it ourselves and I am unable to stop it. Holy Father, Son of an earthly mother, Spirt that lives within us, please save my nation from itself and bring us to you with open arms. The government is trying to legally control the churches. Well, the CT govt is trying to legislate how churches may be organized. Positioning abortion as a good thing for only political, not scientific reasons. I have dropped most of my political blogs. However, when the pain is severe enough, even those blogging other things will cry out. Holy God, do not unto us as we deserve. Deliver us in thy mercy. Grant us peace. Help us to do thy will in all our ways. He helps me rest in a safe haven when I am weary. He blesses my soul with refreshment. He restores the broken places of my soul. I will fear no evil, for my God is with me and if my God is with me, who then shall I fear? Your strong arm and your rescuing arm comfort me. You prepare blessings for me even as my enemies plot and dance. You make my life a fount of good things. I have far more wonder and beauty in my life than I would ever have expected. Surely your love and mercy have followed me all the days of my life and will continue to do so until my days end. Thank you for that. Is the age of miracles over? I don’t think so. Neither does an atheist who was on his way to commit suicide when a deer broke his car, he got a flat tire, someone threw a dog out of the car… It is the story of the Hounds of Heaven hastening after a man who had been hurt. You should read Jesus and the Atheist. 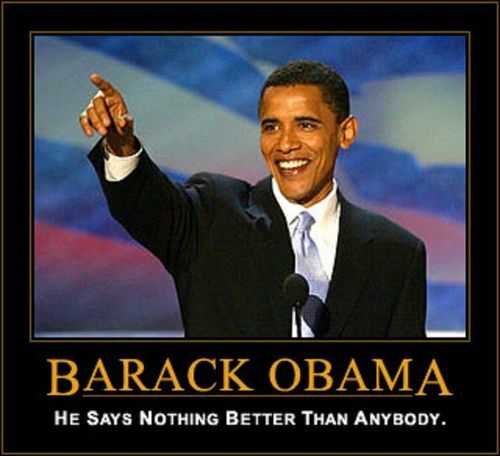 Barna Research did a survey on Americans and their worldviews. For the purposes of the survey, a â€œbiblical worldviewâ€ was defined as believing that absolute moral truth exists; the Bible is totally accurate in all of the principles it teaches; Satan is considered to be a real being or force, not merely symbolic; a person cannot earn their way into Heaven by trying to be good or do good works; Jesus Christ lived a sinless life on earth; and God is the all-knowing, all-powerful creator of the world who still rules the universe today. In the research, anyone who held all of those beliefs was said to have a biblical worldview. So how many Americans have biblical worldviews? Not very many. Not even very many of the born again adults. The one that I might see answering a little differently is the question on Satan. I believe that Satan is a real entity. I also believe that we use that identifier for more than Satan, so I guess I could see another answer on that one being legitimate. I am appalled that 7% of born again Christians don’t believe that God is omnipotent and omniscient. My husband thought I was paranoid. But I’m not. They really are out to get non-supporters of the Big O. Right Wing Nation brought it to my attention. I didn’t like Bush increasing the deficit. I sure don’t like what Obama’s done. I proposed a chapter in a book, which was accepted. But the chapter in the book, which I wrote after the proposal was accepted, was rejected. I am sad. I was sure that it would be accepted. Seems like I don’t understand the publishing business. Need to take that publication off my resume. This was the worldview paper on GT. Mirabilis writes about scientists trying to understand an ancient, previously lost Iberian language.